The first Divas from Valentina Monti on Vimeo. 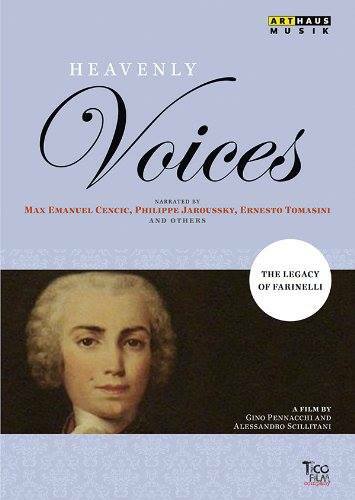 In 2013, the one hour film, directed by Alessandro Scillitani, and entitled “Heavenly Voices – The Heirs of Farinelli”, was broadcast on national television in several european countries. Eventually it was also released on DVD (buy it HERE). It features interviews to and performances by Ernesto, Max Emanuel Cencic, David Daniels, Luciana D’Intino, Franco Fagioli, Philippe Jarrousky, Othon, Andreas Scholl, Jimmy Sommerville, The Tiger Lillies and more! After a special screening of the film in Italy, Tomasini presented a lecture on “the politics of gender in singing styles, throughout history”.